George William Howe was born in 1848 on a voyage from London to Sydney aboard the migrant ship, James Gibbs. His millwright and engineer father, William Howe, and mother, Mary, originally came from Surrey, England. Also on the voyage were his brothers Benjamin and Henry Howe, the latter eventually became a manager of the Eveleigh Railway Workshops. The family arrived in Sydney on 9 June 1849 and settled in Redfern. Howe married Ada Margaret Dennis at St Bartholomew’s Church, Pyrmont on 19 August 1902. They had nine children together: Irene, George, Robert, Walter, Margery, Edna, Erina, Elsie and Henry. Howe and his family lived at 2 Botany Street, Redfern before moving to Yarra house at Yarra Bay Beach from at least 1905. He died at a private hospital in Darlinghurst on the morning of 22 November 1916 and was buried at Botany Cemetery two days later. Howe Street in Malabar is named after him. In a 1904 promotional flyer published during the State elections, Howe appealed to Redfern voters noting he did not receive the ‘benefits of a college education’, but had ‘considerable experience as an Engineer and Employer of Labour for many years, with a practical knowledge of commercial business’. Howe worked on the NSW Railways and established an engineering business with William Rose. Howe and Rose, ‘engineers and special machine makers’, were based on Botany Street, Redfern and operated from the late 1870s until about 1920. In 1901, he and William Rose opened the Yarra Bay Pleasure Grounds, which was a popular picnic and recreational facility and flourished after the establishment of a more comprehensive tram network. The grounds included Howes Refreshment Rooms, stables and a boatshed. Howe was one of the first on the committee of the Redfern Bowling Club and won many championships before he became a member of the Randwick Bowling Club after relocating to Yarra Bay Beach. George Howe gifted the pavilion at Redfern Park in 1892, which cost him 300 pounds. George Howe stood as the Liberal candidate for Redfern for New South Wales Parliament three times without success, each time losing to James McGowen. 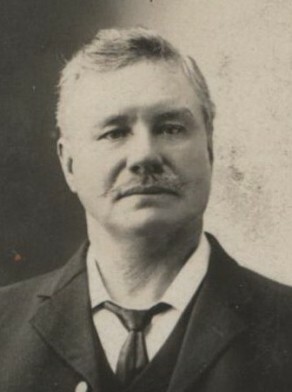 George Howe was elected an alderman of Redfern Council in 1889 and served until 1910. Howe was elected Mayor of Redfern on 3 June 1891 to fill a vacancy caused by John Beveridge. He was again elected mayor on 11 February 1892, serving until 1893. From 1911 to 1914 he also served as an alderman of Randwick Council.